What Rooms Should I Focus On For Staging? Not sure which rooms are most important to buyers? Our list should help you focus your energies on the right places. 1. Entry - whatever room buyers will enter into first in your home is essential. If there are several possibilities, work with your agent to determine which sends the best message. Entering in through your mudroom/laundry area might be easiest but if your front door opens into a dramatic foyer go with that. Obviously, we are currently buried under almost 100" of snow here in the Boston area so use your judgement. If buyers have to scale a mountain of snow, that is not really sending the right message either. 2. Kitchen - a kitchen is an essential part of any home regardless of the size. This is where people tend to congregate and families live their lives. Make sure that surfaces are clean, free of clutter, and boasting some decorative items like a bowl of bright fruit, a tray with bottles of Pellegrino, small plants, etc. 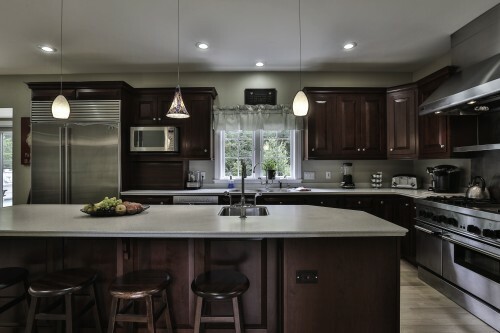 Draw buyers attention to special details like counter seating area, built in wine racks, decorative shelving. 3. Family Rooms or Living Rooms - whichever you have that is the most cozy and where people will likely congregate is the most important. Again, make sure the space is clutter-free, has a good flow, and buyers have access to nice details like a gorgeous fireplace or large lovely window. 4. 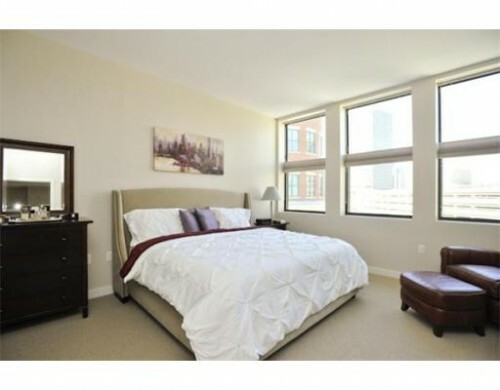 Master Bedroom - whatever your master looks like, you need to make the most of it. Make sure you are not cramming a ton of furniture into the space, the bed is made with nice, clean linens, and the room gets an appropriate amount of light. Remove items like treadmills or other exercise equipment. 5. Closets - closets throughout the home are essential. Buyers never want to feel like they might outgrow a home in a couple of years. Your job as a seller is to show them that you have not outgrown the home at all - storage is abundant in your home. 6. Tricky or small rooms - do not make the mistake of cramming a bed into a room that is too small to handle one. All you are proving to buyers is that a bed does not fit. Trust us on this one. Instead make the room a nice office, quiet reading nook, or playroom. 7. Really stunning spaces - any room that is a show-stopper should really be shown off. Do your best to bring it to the next level to really wow buyers. 8. Bathrooms - these rooms are easy. Remove clutter, clean the living daylights out of them, remove floor mats, add in pretty soaps and nice fluffy towels and viola - you are done! There are a lot of reasons why staging can go wrong. How do you know if your staging is not up to par? Here are some reasons why your staging efforts may produce lackluster results. 1. You decluttered too much. As much as we believe everyone needs to thin out and clean up before listing, there is a point at which it is too much. We have seen such a point. The effect is sterile and uninviting. You do need a certain amount of "stuff" to live and if you eliminate too much stuff it is off-putting, and confusing, to buyers. The result? They just don't feel at home in your home. 2. You failed to see the potential of your rooms. It is hard to see the potential of rooms sometimes. Staging is tricky because it is not about setting up a room that echoes the most comfortable way to live but rather to show off selling features and get the most from listing photos. Often times homeowners, and inexperienced "helpers", don't really know enough to see beyond the way the room "has always been". 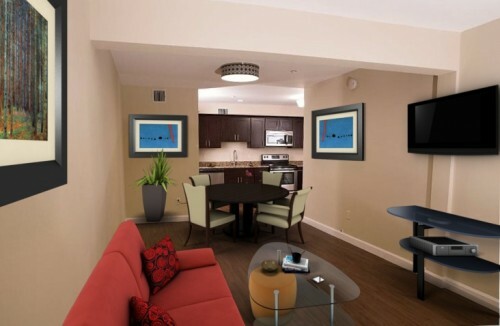 A stager can help you see your rooms in a fresh way. I cannot tell you how many times homeowners have said to us, "I did not know my home could look this good" after we finish restyling their home. 3. You tried "cutesy" ideas you found on the internet. Oh man, this is one of my biggest pet peeves. What am I talking about? Dining rooms set at an angle, Beds placed kitty corner in a room, tables set like the Queen herself is coming to dinner. Here is the problem.....all of that cute, fun stuff you try just distracts buyers from the selling features of your home. You do not want to be the home they remember as "the one with the dining table at an angle". Instead you want to be the one that had the large dining room that was great for entertaining. 4. You over-neutralized. So now your home is a delightful sea of the same color beige. All 4,000 square feet of it. Yikes! Neutralizing is good but buyers want a little variety. Also remember that if you are selling a family-sized home, you are likely selling to folks with kids or plans for kids. It is perfectly fine to have blue or pink walls in the children's rooms. People love cute kids rooms. Nobody loves a beige kid's room, stripped of its character and left with just a sad crib and rocker. So mix it up - go beige, go ivory, layer in a light grey. Our best advice is to ask a stager. Beige is no longer the only game in town. In fact, in many areas beige has come and gone and will make a home less appealing. Best to know this before spending your weekend priming and painting. 5. You decided you really want to show off the collections you are so proud of. I get it. We all have elements of our home that we are proud of. Many of our clients have collections they are really proud of. I have collections too. However, when you are selling is not the time to show them off for two reasons. First, and again, you do not want people to remember you as the home with the "glass bunny" collection as opposed to the home with the "gorgeous master bath". Trust me on this. Second of all, you do not know who is going to be going through your home. Buyers are generally a polite, respectful group but sometimes mom blinks and the toddler has your special bunny in his hand. Put away the special things and share them with the people you love when you get to your new home. 6. Your house looks great in person but terrible in photos. Hmmm, now this is a real dilemma. Buyers are not coming to view your home unless it looks great in the listing photos and they want to see more. Photos drive showings. Period. Knowing how to style a room that is great in person and camera-friendly takes skill. 7. There is no flow. So your house looks great but is really now more of an obstacle course than a well-staged home. If people have to shimmy past furniture, or walk around things, to get to nice details like a fireplace, patio, or beautiful window then your home won't feel homey to them. People want easy to decorate homes and your job, as a seller, is to show them how easy your rooms are to decorate. 8. You spent your money on the wrong things. We see this all the time. A seller spent a fortune on things they believe will be important but left glaring problems alone. What do I mean? Here is an example: spending money to replace all of your carpet because you have a couple of stains but your front lawn looks like it has never seen a drop of rain. I went to an open house once at a home where the seller spent $60,000 putting in granite accents in his front yard - think stairs, pillars, etc but did not remove a single piece of wallpaper inside or rearrange his furniture in any way, including leaving the recliner in the kitchen next to the stove. You want to invest your money, when needed, in a way that yields a decent ROI otherwise it is just not worth it. 9. You feel bad for Mr. Mittens so you left all of his litter boxes and kitty condos out. I think the majority of us love animals. The odd thing is that we do not love animals in the homes of people we may purchase a house from. The first sign of a cat or dog and we start to wonder where that animal has had an accident. Do your best to tone down the animal items. We recommend our clients eliminate all traces of a pet the day of a showing and in photos. 10. You didn't do your research. So instead of looking to see what other homes in your price point, and in your area have done, you read a ton of articles online and went to work. As much as we admire that you tried to do things as the advice of professionals, every area is different. I cannot even say that every town is different because sometimes there are micro markets within a town where buyers have different expectations. What is really desirable in one area might not fly in another. The best way to know is to enlist a stager who understands your market. When done properly staging makes a world of difference. The key is that it needs to be done right. If you want to get the most money out of your home, it is worth it to make it as appealing as possible from the start. We get a ton of calls from people at the beginning of the year who tell us they want to list their home when the spring market comes around. While I admire these people for planning ahead and getting on the ball early, I always wonder why they want to list their home with the tidal wave of other homes that hit the market at the same time. So here are our thoughts on why selling over the winter, if you can, is a great idea. 1. Low inventory So what does this mean for you, as a seller? It means that there are likely far fewer homes on the market than will be there come the spring market which means less competition. Being one of only a couple homes listed in your area gives you a far better chance of selling than when you are one of twenty five homes for sale in your price point in your town. This is especially helpful for people who have homes with an unattractive issue or two like strange floor plans or poor location. 2. Buyers are serious Anyone who is out trudging around in -3 degree weather to look at homes is serious about buying. The tire kickers and Sunday open house strollers you get during the warmer months are tucked away at home binge watching their favorite shows under layers of fleece. People have to move all year for various reasons. Life doesn't stop when the temperatures drop and snow flies. 3. Less work to get the exterior of your home up to par When we are buried in snow, there is little that needs to be done to make your home appealing from the outside. Just make sure your driveway and walkways are clean and you are good to go. This is way better than during the spring rainy season when everything is muddy slush and lawns are a lovely shade of brown. 4. Your Realtor is likely less busy The agents we work with are great and tend to have buyers and sellers all year. They are great at balancing several clients at a time. However, there is definitely a slow down during the winter months. So why not take advantage of this lull and be more of the focus of your agent's attention? We have always been big fans of listing in the winter and have seen many of our clients have great success with selling during this time. Is it right for you? The best way to really figure this out is to talk to an agent and get an idea of the current state of the market. Then evaluate your priorities for the move and go from there. Our best advice? Don't wait just because you think you should. Whenever I tell people what I do the immediate first reaction is "oh that must be so much fun". It is, don't get me wrong. It is also a bit like living in a comedy skit sometimes. So I thought I would share with you all what a typical morning is like for me. Today we are delivering furniture to a vacant home in Jamaica Plain. Because of the snow, I am unable to go but my rep from the rental company is meeting the truck to supervise the delivery. I plan to finish the staging later in the week as the seller has plans for photos on Monday. 8:30am The truck drivers call me to let me know they will be arriving at 9am. I call the seller, Mark and my rep, Krystal to let them know the truck is on schedule. 9:03am The phone rings and it is Krystal. It has taken her over an hour to go the 3.8 miles from her home to the project site. Goodness! The street is buried in snow and very narrow now. She has concerns the truck won't make it up the hill to the house, or fit into the cul-de-sac where the house sits, because the center of the cul-de-sac is now a giant mountain of snow. She will call me back when the truck arrives with an update. 9:07am Panic ensues. What am I going to do if the truck cannot make it to the house? We are only going to be getting more snow, not less, so certainly this situation won't be improving anytime soon. Okay fingers are crossed. I am just going to hope this works out. 9:25am Krystal calls and the door to the house is locked and nobody is there. Awesome. The seller had someone from his team there earlier to open the door so we are not sure what happened. I call the seller. He lets us know that the there is a hole in the front door where the mailbox should be and if Krystal sticks her hand through it she can unlock the deadbolt on the door. Okey dokey. This is one of those moments where I think to myself "wow this is a conversation I never thought I would be having". But I laugh, happy there is an easy fix, and I call Krystal. I relay the info to Krystal....she will give this a try. She has to take off her coat to fit through the hole but, it works, and the door is open. Hooray! 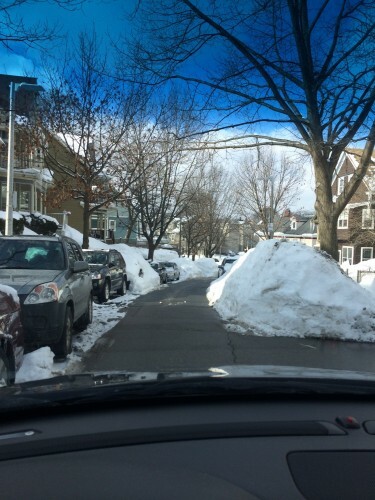 First the drivers need to shovel themselves a path but the delivery will happen. Fantastic! Meanwhile, while this is all unfolding in Jamaica Plain, I am trying to catch up on some admin work. I have an updated Home Evaluation to send, an invoice to get out, and a couple quotes to prepare. Not making much progress on any of this work at all because I am talking to Krystal every two minutes via text and phone. 9:56am Text from Krystal. The counter top for the kitchen is in the living room of the second floor unit where the sofa needs to go. So she is just going to leave the sofa in front of the counter top and we will place it properly later after the kitchens have been installed. We knew the kitchen was not installed so this is not a big deal. It is just funny considering the other events of the day. 11:19am Text with photos from Krystal of the third floor unit with the furniture in. Looks great I think to myself, except what the heck rug is that? I know I did not order that rug. I call Krystal. She swears it is the right rug. After some research on the rental website I discover it is a rug with the same name, totally different look. The item numbers are different and they did send the wrong one. Oh well, it looks awesome so I am going to go with it. 11:32am Text from Krystal. They are leaving. She is going to attempt to lock the door by sticking her hand back through the mail box slot again. I wish her good luck and thank her for helping me out. It is now snowing in JP. 11:44am Text from Krystal. The truck is stuck. A neighbor is moving their car to help but that does not do the trick and the poor drivers have two more stops to make today. Ugh. 11:58am Call from Krystal. Truck is really stuck. They are putting blankets under the tires for traction but nothing is helping. They also almost took out a tree. Yikes! 12:44pm Text from Krystal. Two neighbors helping, shoveling, and a parking ticket later the truck is free and they are on their way! I am sure you think I picked the craziest day to write about. But the truth is, none of this is that unusual. No project is ever as simple as dropping off the furniture, styling, and leaving. There is always some crazy issue to contend with. Whether it be snowy roads, tight doorways, no running water, no toilets, no heat, people parking in the spots we have pulled permits for....the list goes on and on. Just when I think I have seen it all, something else crazy happens. The good news is that is why people hire us. We are used to the calamities and just power through. We always finish on schedule and on budget. 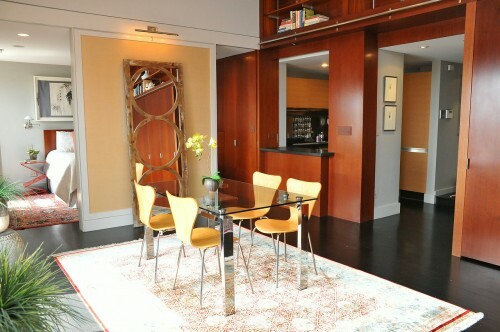 Recently, we wrote an article about staging that was published on BostonAgent.com. We thought we would share these tips with you here. 10. Do Not Confuse “Well-Decorated” with “Well-Staged” – One of the biggest mistakes we see is agents assuming that because a client used a designer, their home is ready for market. Decorating is about lifestyle; staging is about marketing. A home may not need all the chairs in a living room or dressers in a bedroom to look its best for market. It is best to look at all homes for opportunities for improvement equally. 9. Vacant Homes Appear Smaller Than They are and Photograph Horribly – Statistically, vacant homes sell 78 percent slower than occupied homes. Just because your client has less than desirable furniture does not mean the home will fare better empty. Only one in 10 buyers can visualize what an empty home might look like furnished – you have pretty poor odds that you will get one of these gifted buyers coming through your listing. 8. Go for Glamour in the Bedroom – One of the easiest ways to dress up a bedroom is with coordinating bedding and lots of pillows. It looks stylish and photographs beautifully. A frumpy bed that is sloppily made and with one pillow looks boring. Spend the $80 on a bed-in-a-bag and dress up the bed. 7. Don’t Neutralize Kid’s Rooms – We see a lot of agents encouraging homeowners to paint children’s rooms neutral colors. Well guess what…those owners are likely selling to families with kids or to couples who plan on having kids. Everyone loves a cute kid’s room. A boring “blah” one will just hold you back. Just make sure to reduce clutter and have an appropriate amount of furniture, and call it a day. 6. Do Not Underestimate the Effect a Staging Consult Can Have On a Space – Some of the most amazing transformations we have seen in homes were the result of homeowners implementing the advice from a one-hour consult. Most sellers are motivated to make changes; take advantage of that. 5. Break Up Large Expanses of Color – Spaces like wood floors, walls, dining tables, sectional sofas and kitchen countertops will take up a lot of space in photos and need to be broken up with decorative items like rugs, art, table settings and accessories to avoid looking boring and reduce their dominating effect. 4. Appropriately Used Storage Spaces are Essential – Buyers do not want to consider the fact that they might outgrow their new home. One of the jobs of a seller is to show buyers that storage space is abundant in their home. The best way to do this, of course, is to not be maxing it out. Closets should be about 20 percent empty and have open floor and shelving space. Have sellers pack away out of season items and/or holiday items. They are moving anyway, so that stuff will need to get packed up anyway. Do not overdo this, though; it needs to be realistic. 3. Help Sellers Prioritize Changes – We often meet with sellers who are busy making changes their agents told them were imperative, when really, the changes are insignificant. A good example is bathroom lighting fixtures. If a seller has an extremely dated bathroom, changing one element of that room is not a makeover. Buyers will not be confused into thinking the bathroom is updated because it has a nice new light in a sea of avocado tiles. Your best bet is to determine what changes will make the most impact and go from there. If you are not sure, clutter removal is usually what most sellers need the most. 2. Do Not Be Afraid to Suggest Staging to Sellers – Almost every single person we meet watches HGTV or the like. They know that staging is part of the current selling landscape. They expect their agent to suggest it. The only people who resist the changes we suggest are the people who do not want to sell anyway for whatever reason – think divorce, physical disability, change in financial situation, etc. Sellers want to get the most money from their home, and they know staging will get them there. Plus, they have to pack anyway, so why not get a head start and do it from the beginning, so the move is not a fire drill? 1. Professional Photography is Non-negotiable – Nothing bugs us more than seeing a home that a seller has spent hours preparing for market dulled down by amateur photos. If professional photography was cost-prohibitive, then we would understand the reason for not using it. But considering that it is the photos that drive your showings, there is no excuse for bad photos. Spend the money; you will be glad you did. A very large percentage of our business is staging vacant homes. But sometimes, for various reasons, sellers are unable or unwilling to make the investment in rental furniture. Luckily technology helps us out with the advent of virtual staging. So what is it exactly? Essentially, we take photos of empty rooms and digitally impose furniture into the shots. It is quick and simple and we can usually turn the images around in about 48 hours. Obviously the solution is great for making a MLS listing look good but the home is still vacant for showings which is not ideal. I loved this home. I am partial to homes built in the 60's and 70's and this home is the perfect family house. Lots of space, hardwood throughout, and tons of extras like a pool and large downstairs room with a bar. The home was vacant when we met with the owners and they went the virtual staging route. I love how the digitally staged images turned out. This project was the best kind of challenge. Mixing a very stylish and eclectic look with rental pieces to create a home that was furnished seamlessly. I think we did a great job.